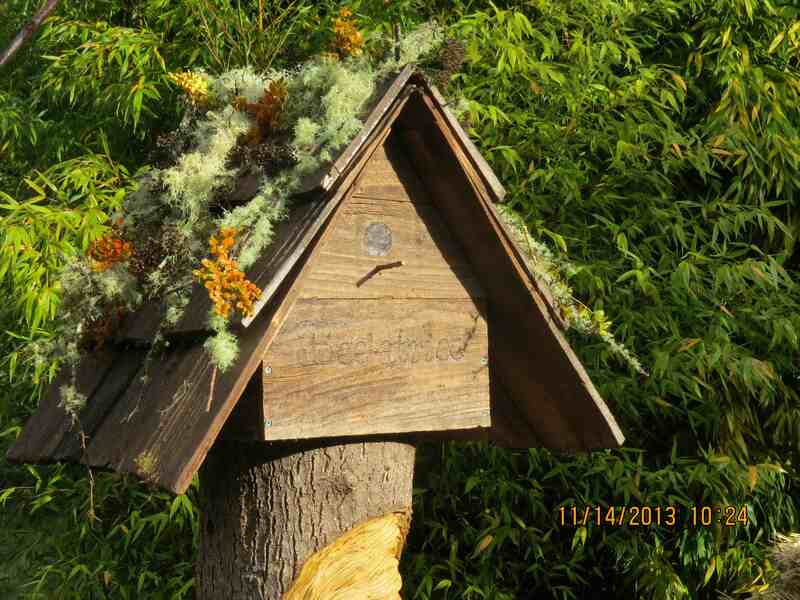 November 14…I finished her ‘bird house’ bonnet and set it on her head last night after all the foragers were in. I hope she likes it. A closer look reveals the latest in the twigs and moss fashion. The bonnet fits on this quilt box filled with myrtlewood shavings. 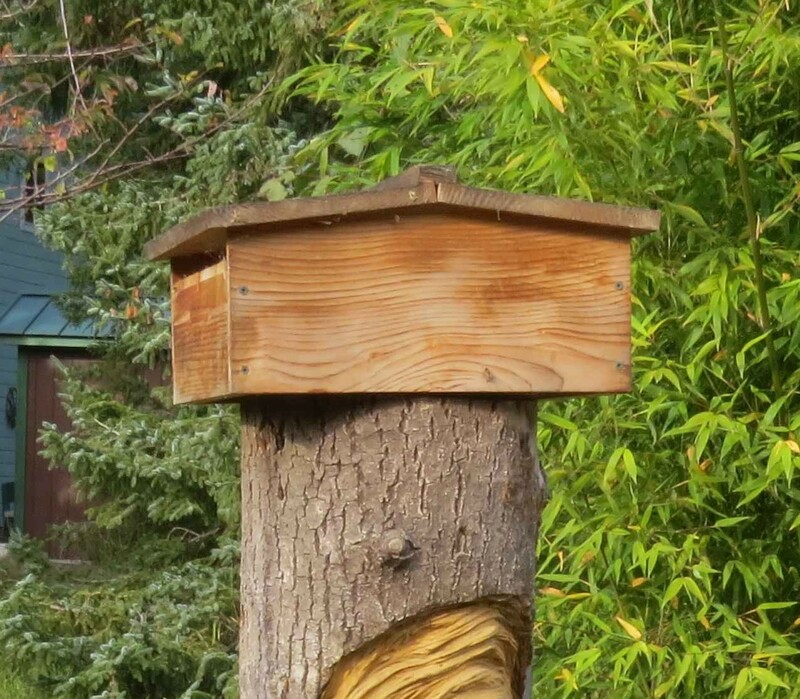 The quilt box keeps the ‘hive scent.’ The sides of the bonnet block the wind from entering the top crack between the quilt box and the top of the hive…the place the bees use to enter and leave the hive at this time. 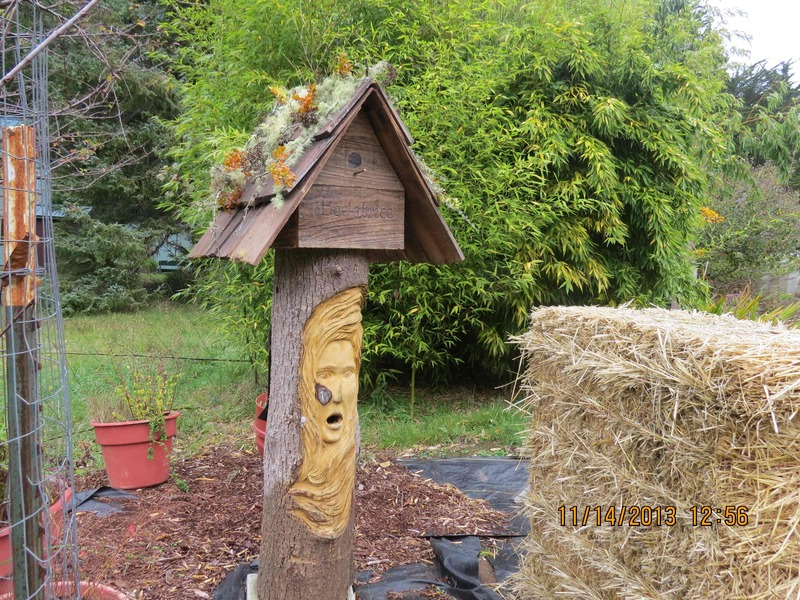 Since the bees were not using this mouth entrance, I wanted to reduce the amount of cold winter air blowing into the hive. My wife says I’m not allowed to make any snide comments about it. Now that is a very fine bonnet! Bear in mind that some ventilation getting into the hive is good, as having air circulating prevents moisture and condensation building up and getting the bees wet. My bees are on hives with open mesh floors and I’ve never lost a hive over winter in five years. Does Bee-atrice have any ventilation? Thank you. I was hoping you’d like it. The bonnet sits on the quilt box and has vent holes to let the hive breathe. There is a side entrance as well as the partially blocked mouth entrance. 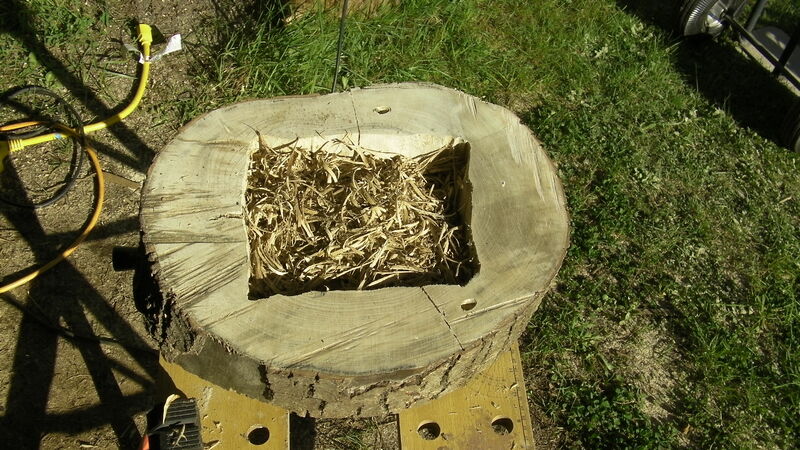 The bottom of the hive has more sawdust, shavings, and leaves as a sort of experiment in providing an ecosystem. I’m hoping the ants and earwigs will eat the mites which I’m sure she has even though she will vehemently deny it. Vent holes are good. I’ve heard people say the ants will carry off mites. I’ve popped in here a few times from biobees but this is my first time to say hello. I love Beatrice’s new hat and I love your log hives. It is great to see the bees thriving in your hives. Thanks, Kim. I’m hoping Bee-atrice pulls through the winter intact. It’s such a small hive. 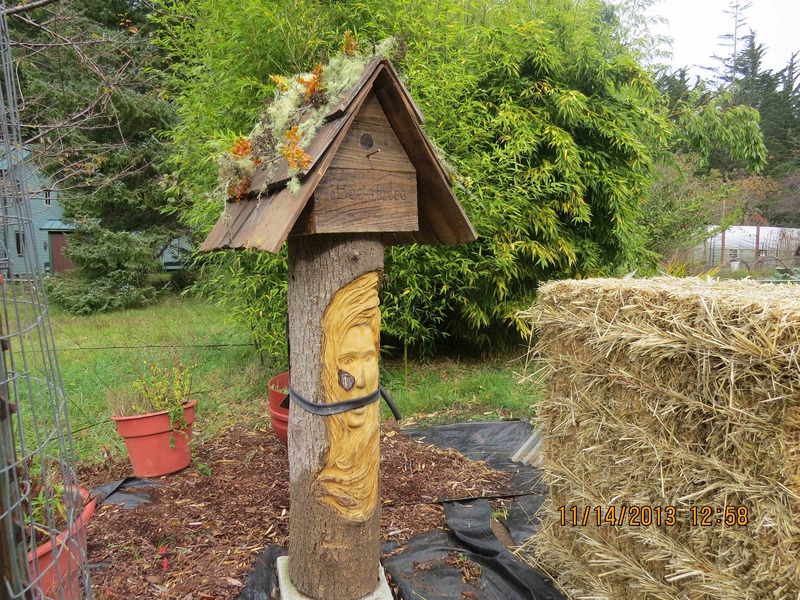 A smart beekeeper would probably have combined it with a stronger hive, but I want to try doing this the ‘natural way.’ Bee Beard, my first log hive is actually thriving, without any intervention like miticides, antibiotics, or sugar water. My mentor insists, “you have to treat with fumigellon.” I disagree. I have made similar choices. Wishing your girls good luck. That was Sue’s idea. Bee-atrice likes it too…says it makes her look truly unique. I agree. I’d venture to say there is not another bee hive that looks like this anywhere.